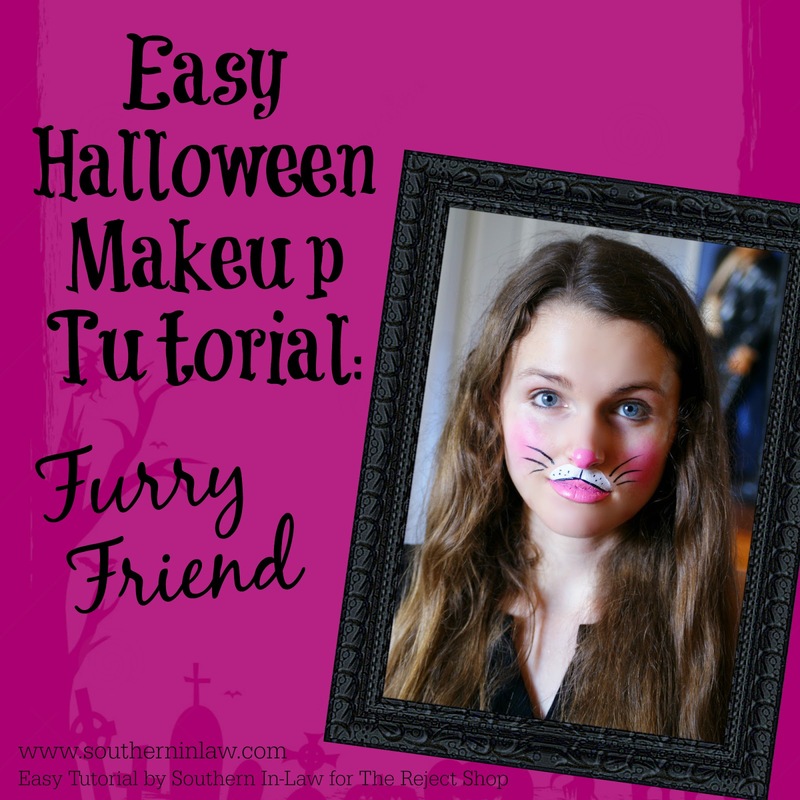 Whether your kids are trick or treating, or you're heading to a costume party - these four easy to achieve Halloween looks are perfect as they don't require a fancy or expensive costume. 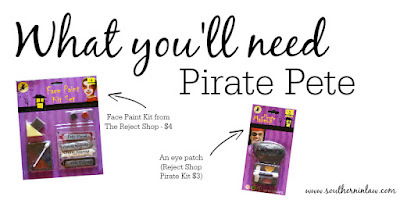 All you'll need is some face paint, clothes that will fit the look and a fun attitude! This tutorial is a super easy costume idea as all you need is a pair of ears! 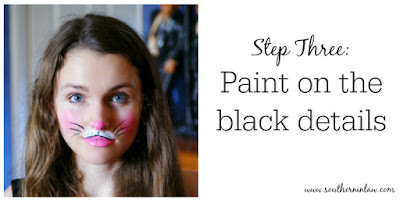 Whether you plan on being a bunny or a cat, this furry friend tutorial is great for kids or adults and only requires a little bit of paint! 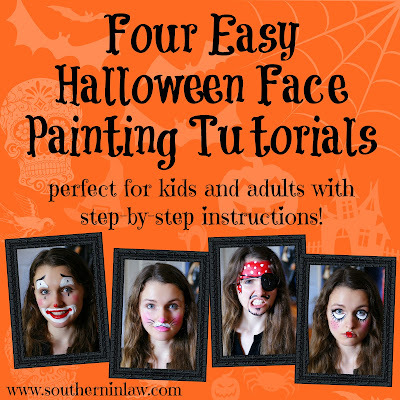 It's perfect for kids as you don't need to worry about painting near their eyes - the only thing that will tickle a little is their lips - but you can even leave the bottom lip out if they're really ticklish! Step One: Start with the white details. You'll want to use the cream makeup and layer it on thick. If you need to tidy up the edges, use a baby wipe to fix any mistakes! Step Three: Paint on the black details. You'll want to paint on some whiskers and add the mouth details. 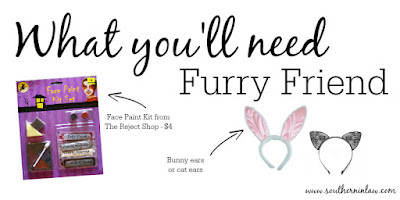 Now all you have to do is add on some bunny or cat ears and you're good to go! Add a tail to make sure everyone knows what you are! 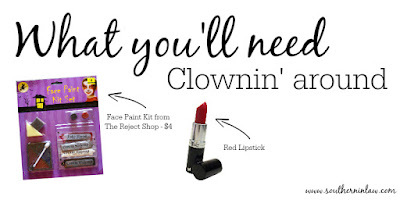 Clowns. A classic Halloween or dress up party character that's actually so easy to do. 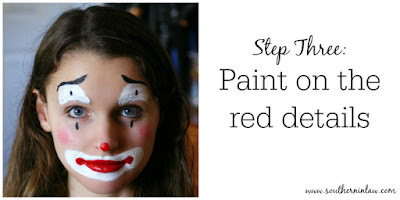 We came up with the perfect easy DIY look that you can create yourself - and it doesn't use a heap of face paint, making it the perfect look for impatient kiddos or adults who don't feel like smothering themselves with paint. 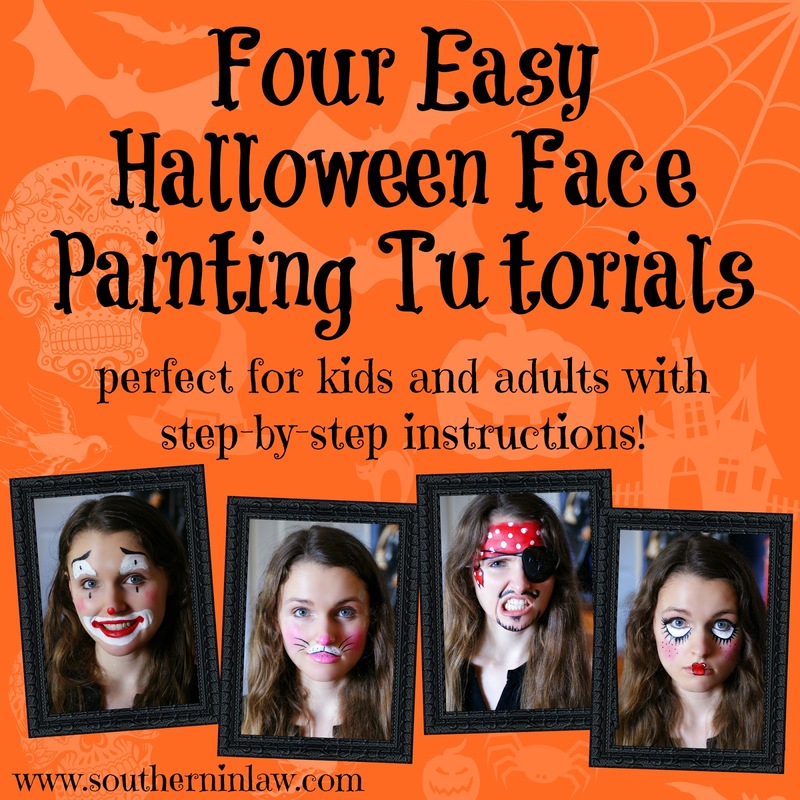 This works for kids and adults, males and females. Simply paint your face and put on your goofiest clothes and you're good to go! Add a fun wig for a little bit extra. Step Two: Paint on the black details. Use a fine paint brush with the cream black paint for these sections. 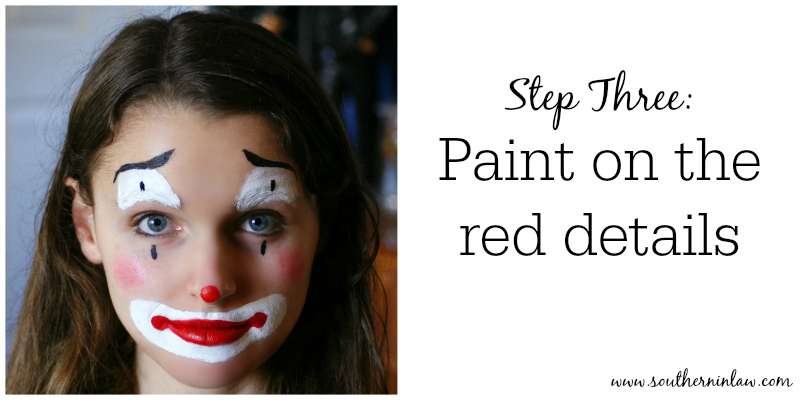 Step Three: Using a bright red lipstick, draw on the nose and exaggerated lips. Get a tiny bit of red lipstick on your fingertips and brush it across each of the cheeks in a circular motion. 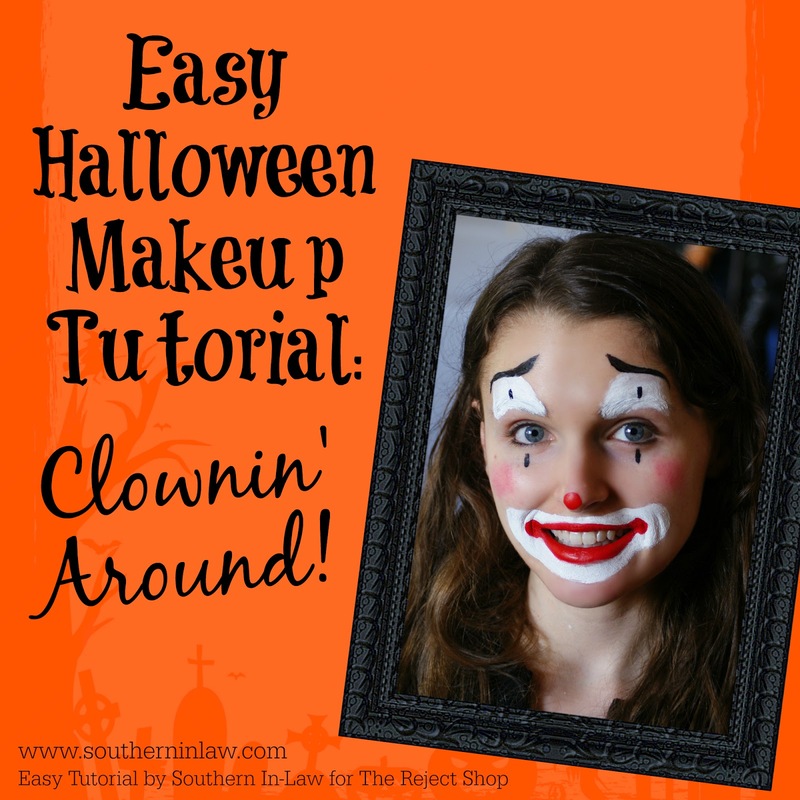 Then all you have to do is get dressed! 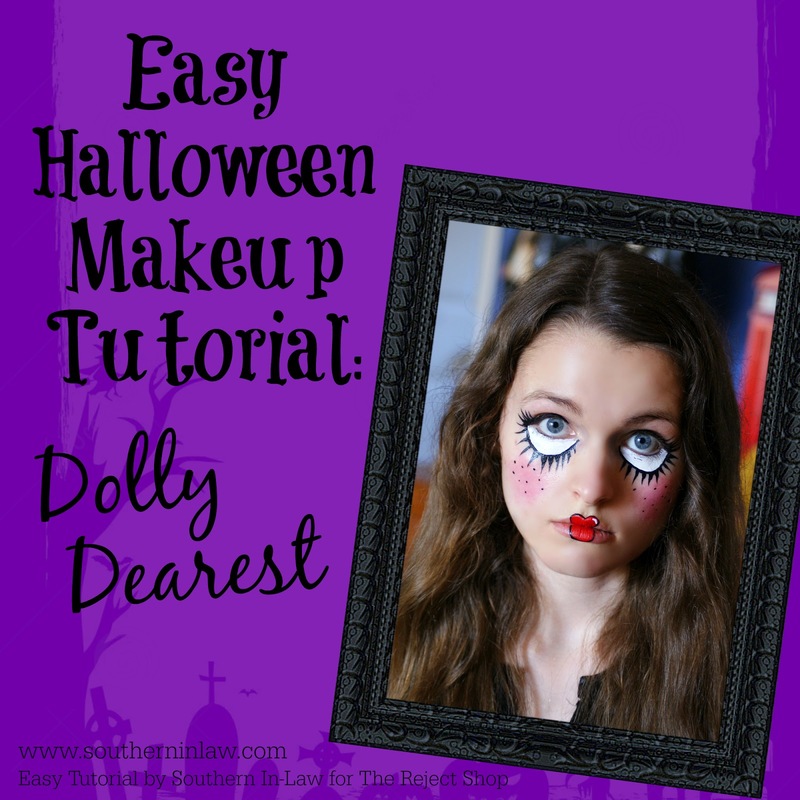 Put on your goofiest outfit and add a funny wig or spray your hair with coloured hair spray if you're feeling extra silly. 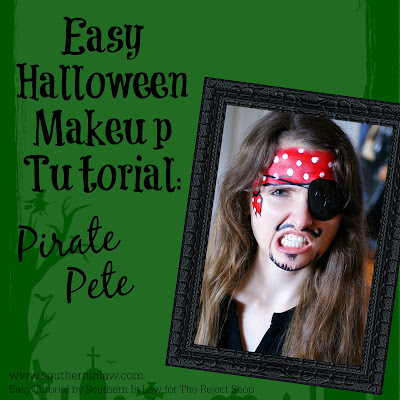 We see plenty of pirates knocking on our door each Halloween so we thought we'd come up with a super simple pirate face paint look that anyone can achieve! 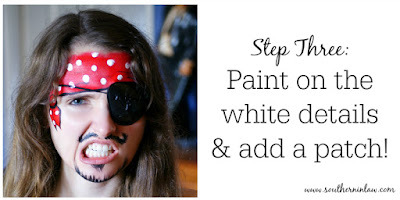 It can work for boys or girls, kids or adults (just leave off the moustache and add some fun lips for a pirate lass!). 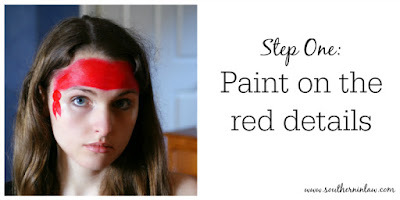 Step One: Start with the Red Details. You'll want to paint on your bandanna and the tie to start off with. 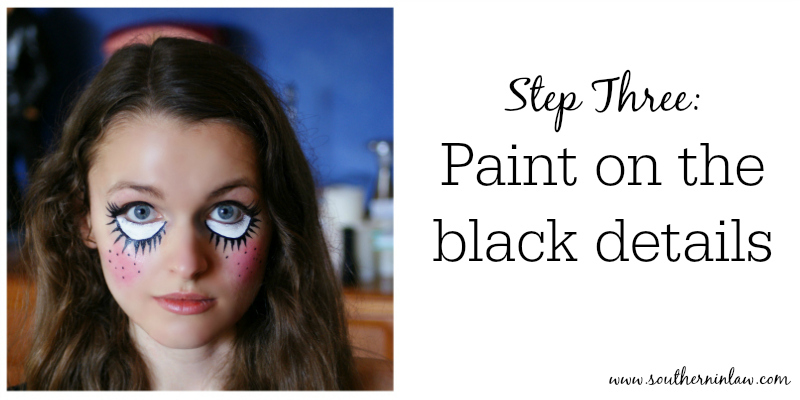 Step Two: Add on your black details. 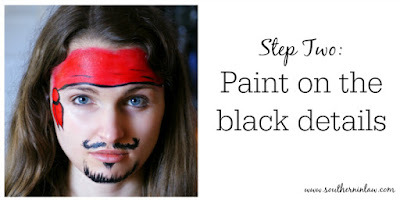 Outline the bottom of the bandanna and the tie, add on some fabric wrinkles and add your mustache/beard/goatie for a male pirate. 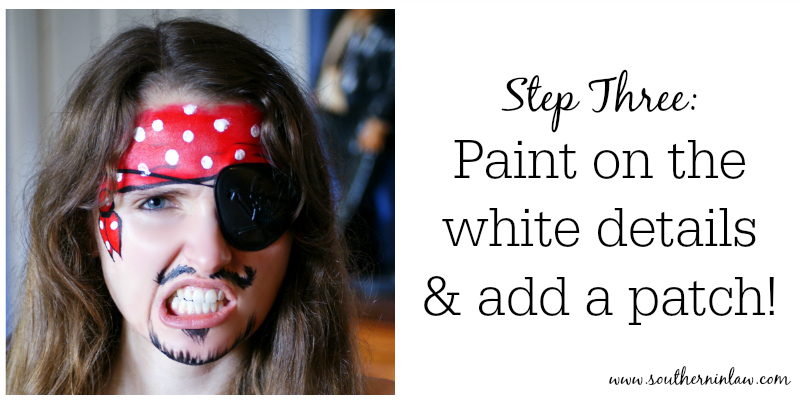 Step Three: Paint on the white spots and add your eye patch once all the paint has dried! Now all you've got to do is get dressed, grab a parrot or a sword and your best pirate accent and you're ready to set sail! Dolls can be cute or creepy and this super simple tutorial can be tweaked and changed to your liking. We recommend this look for older kids/adults as you will need to paint under the eyes (which can be tricky with fidgety wiggly kiddos!). If you're wanting to make this look even more dramatic, add some fake lashes on your top lash for a fuller look. 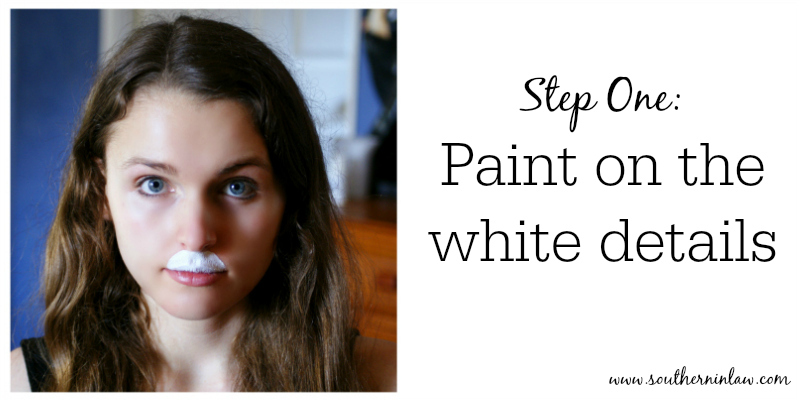 Step One: Paint on the white details. All you have to do is add a thick layer under the eyes, as shown. 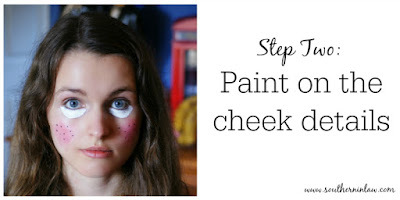 Step Two: Paint on the cheek details. Use your red lipstick (or blush) to add a heavy blush to the cheeks and then use a fine paint brush to paint on your freckles. 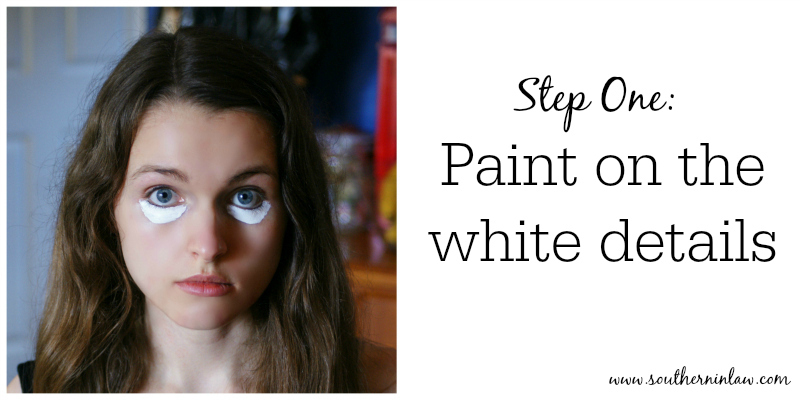 Step Three: Add your lashes! 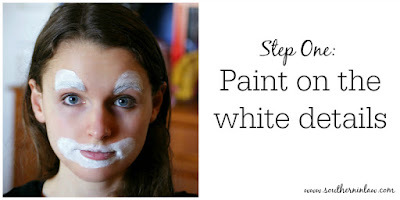 You'll want to add a layer underneath your white section as well as outline that section (as shown). 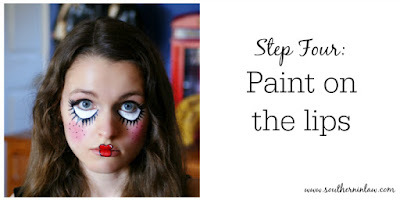 If you're not using fake lashes on top, add some lashes to sides and top of your eyelids. Step Four: Paint on the lips. 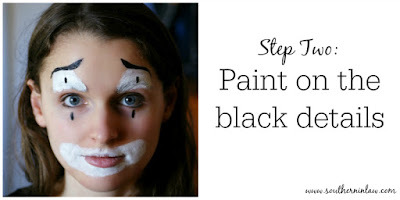 We first filled in the lips with red lipstick and then outlined them in black, adding a small white reflection mark on the top. 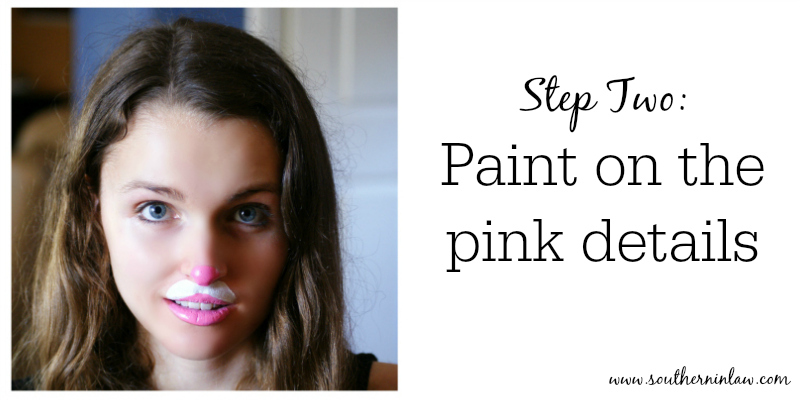 Once you're all painted, you've just got to get dressed! Pop on a dress or a doll-like outfit, grab some cute shoes and a teddy bear and you're good to go! And there you have it! Four super simple Halloween looks anyone can achieve! But tell me, if you could be anyone or anything for a day, what would it be?